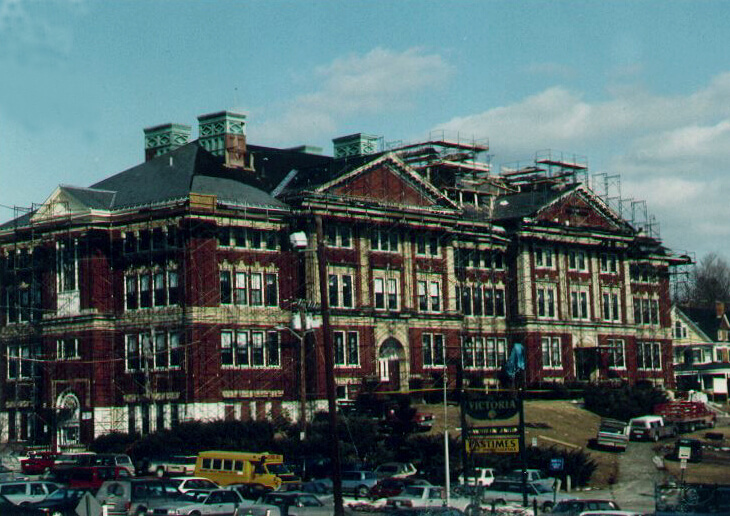 The restoration of the Frank D. Walker building, originally built in 1895 as Marlborough High School, provided the exterior envelope of the structure with much-needed maintenance. The massive Colonial Revival structure is composed of two temple fronts that stand proud of the long, rectangular façade. 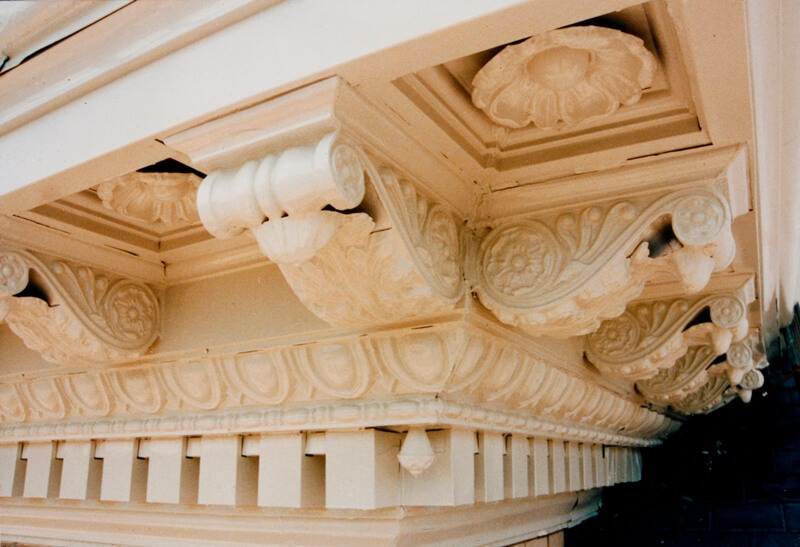 The temple faces display ionic pilasters which support entablatures with intricate egg and dart trim and acanthus leaf brackets. 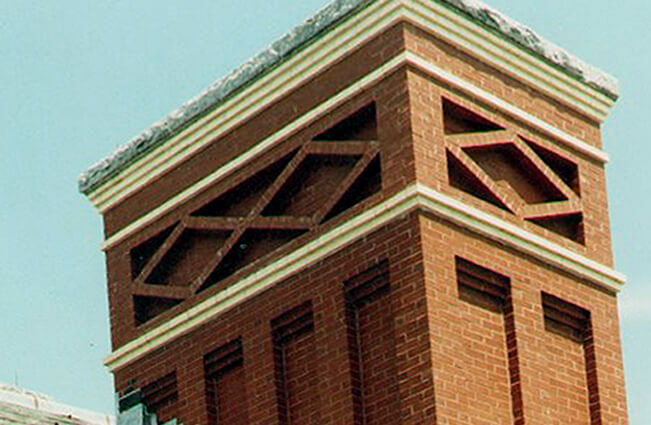 Before beginning work, the existing structure was in a serious state of disrepair. 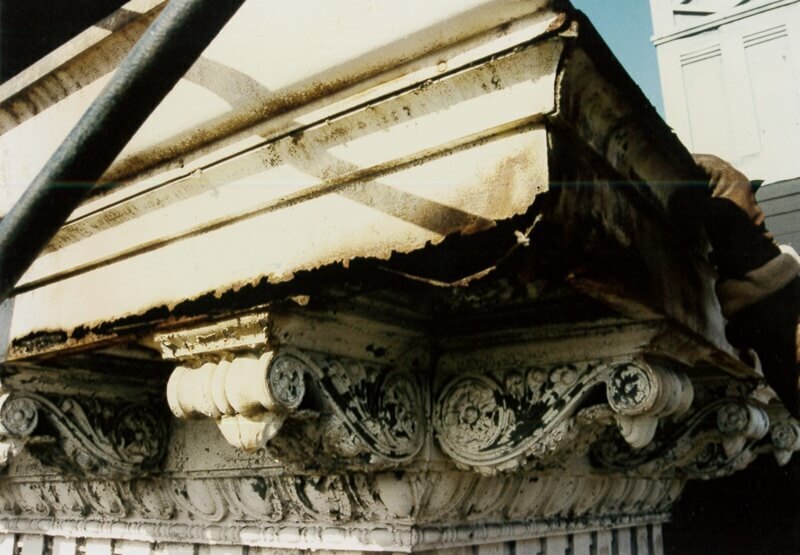 Large portions of the metal cornice at the entablatures were missing, exposing damaged flashing and blocking to the elements. 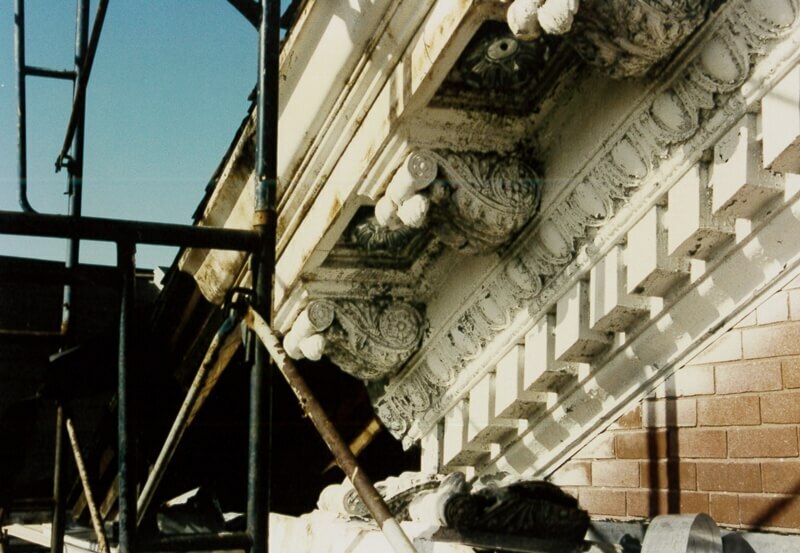 Restoration of all of the metal cornice, which included the egg-and-dart profile trim.